Avance I 300 for 31P, 19F, 13C and 1H experiments (QNP probe); high-temperature measurements; console installed in 2013; the instrument is used under automation with BACS-60 sample changer most of the time. Two channels, 10-125 MHz and 280-300 MHz. A four nucleus 1H/13C/31P/19F probe with z-gradients is used on a permanent basis. The AMX300 console was replaced by Avance 300 console in November 2013. 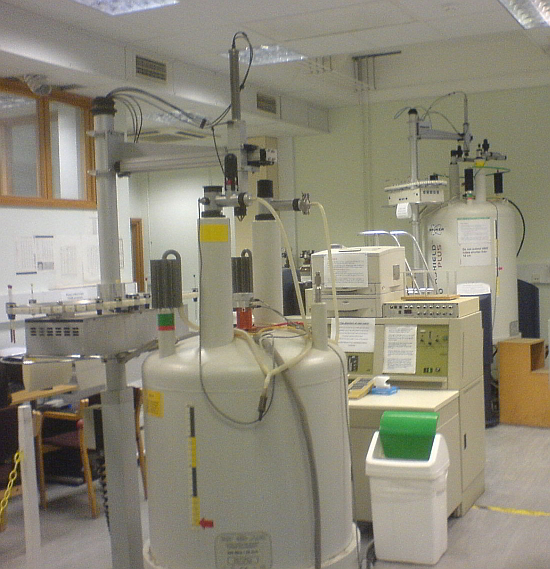 A replacement probe may be needed, if the 19F capability is not provided by any other spectrometer at UCL Chemistry.